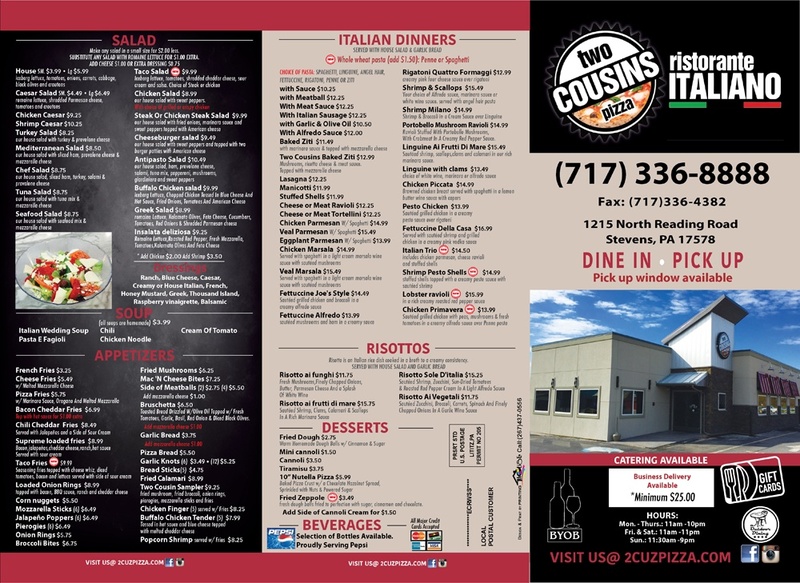 Two Cousins Pizza Ristorante Italiano in Stevens, PA offers fresh ingredients in their pizzas. 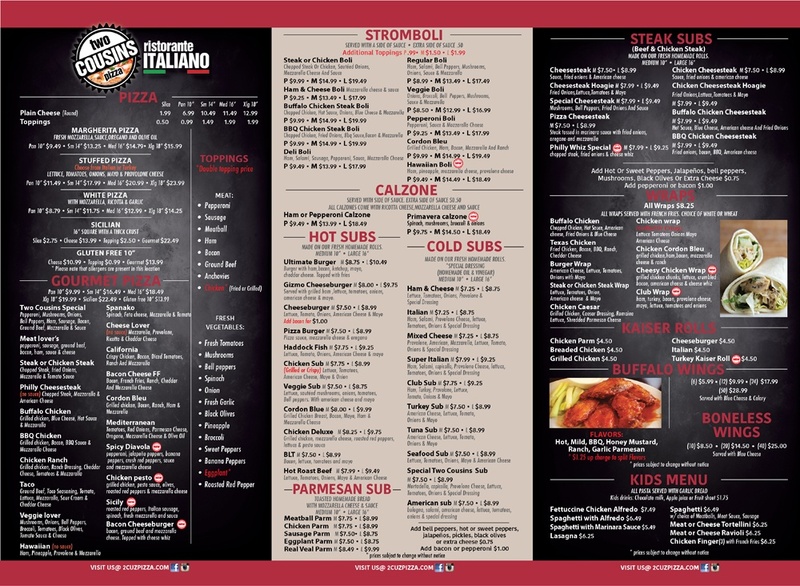 Benvenuti to Two Cousins Pizza & Ristorante Italiano The Bonura Family and their staff welcomes you to their family. They originally came from Carini, a small town outside of Palermo, Sicily. With many years of experience, Chef Joe and his sons, Lorenzo and Francesco, are here to prepare your delicious entrée!! Buon Appetito!